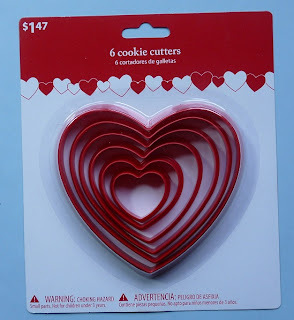 I found this set of heart cookie cutters at Walmart, and used the smallest cutter and traced around it onto the felt to make the heart. It's around 1 1/4". it`s a funny pattern with bright colors as always, thank you for sharring! 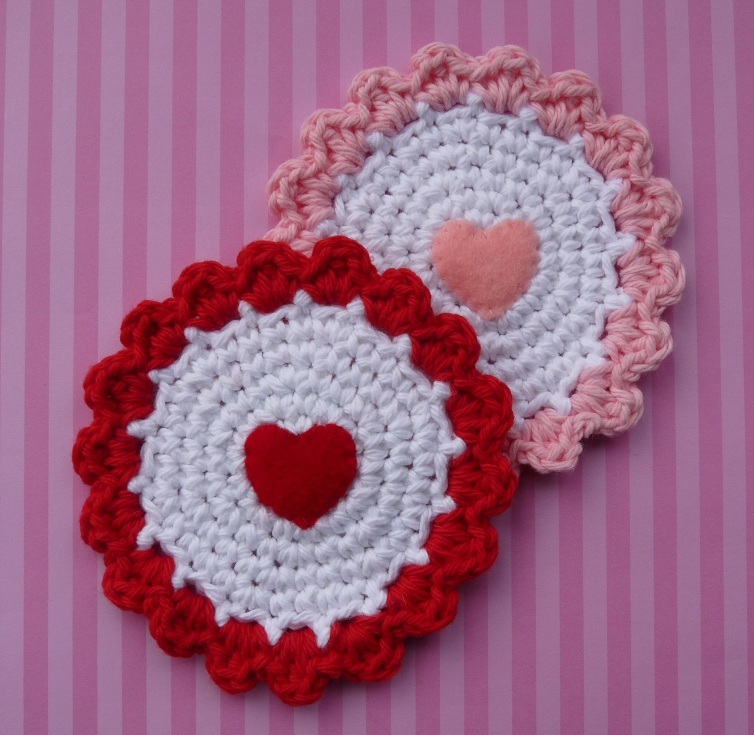 now, i didn`t think of that, combining crochet with felt, oh my!!! Very nice! Loveable! I even might try these, even I am not too romantic. 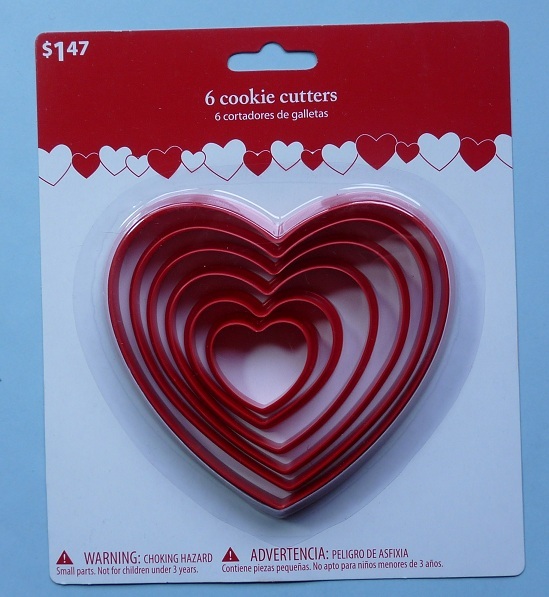 Very cute Doni -- and perfect for Valentine's day. Thanks for the pattern! Your coasters are very beautiful!